Hello everyone, my name is Oscar Garzon and I am a new intern at Environment of the Americas for the Yaquina Head ONA site in Oregon. I am very excited for this opportunity that will surely give me a chance to develop more research skills, learn new things about birds from the members that make this organization possible, and to do everything I can to contribute to this cause. I grew up in Baja California Mexico and moved to the United Sates seeking a college education that would allow me to make a career out of what I am passionate about (wildlife!!). As many of the people in this organization, I enjoy the outdoors. I am passionate about anything that has to do with wildlife and nature. I like to go on hikes, I am an avid birder, an intermediate fisherman, a responsible hunter, and an environmentally conscious citizen. My family is the most important part of my life and I strive to become a good role model for my two younger siblings. I graduated from UC Davis in the summer of 2013 with a degree in wildlife, fish, and conservation biology. The institution is very well known for its programs on agricultural and environmental sciences as well as its ecology, biodiversity, wildlife, and engineering departments. I have always been interested in science and I knew I wanted to become a scientists, but at the beginning it was not very clear the type of scientist I wanted to become. In 2008, as a 18 year old first generation Mexican-American freshman in college who struggled to communicate openly with this new learned language, I chose biochemistry as my major. My love for animals and nature had had been there all the time, but at that point my first priority was to get at the door, graduate and find a job in a profitable field (very standard for most college students). Although I am fascinated by chemistry, physics, and mathematics, biochemistry was not giving me the feeling of fulfillment I needed. At the end of my freshman year, I took and elective class on ‘introduction to wildlife biology’ and it became clear that I wanted to become a conservation biologist. The idea of graduating with a degree on something I love and feel passionate about without the mentality of becoming rich with it, gave me the feeling of success I was looking for. Since then I try to incorporate such ideals into every aspect of my life and share my enthusiasm and the knowledge I have acquired through education with anyone who crosses my path. That is why I seek to become an environmental educator and bring knowledge of nature to those who have not been reached by it and leave a legacy of diverse, environmentally conscious and nature caring people in this world. 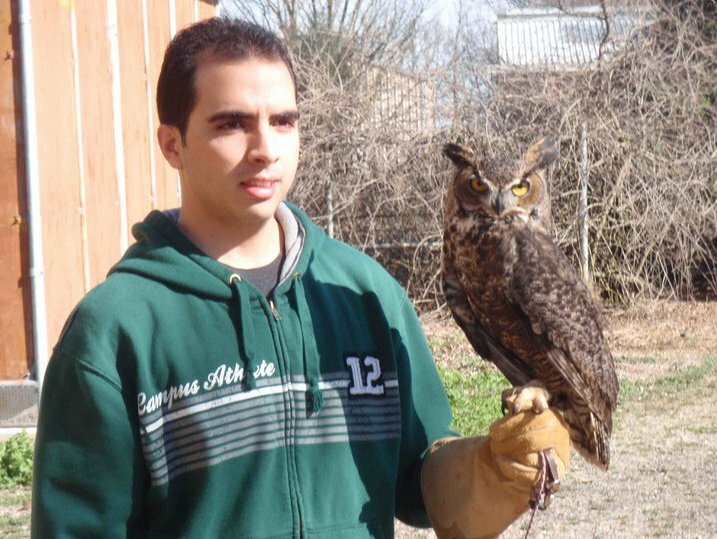 Interests: bird watching is one of my favorite hobbies, winter is my favorite season, hiking, camping, reading, video games, photography, and Argentine tango. Long-term goals: I want to go back to school to pursue a graduate degree and become and educator to inspire people to enjoy nature and wildlife. Become a role model to those who see no cause in protecting the environment and try to gear their mentality towards fixing this world and making it a better place for the future generations.